I can remember, as a small child, signing along with the congregation for each hymn during church. Although I did not know any of the words, I would stand on the pew (so that I could see over the heads) and sing my own song while everyone else was signing out of the Psalter Hymnal. This is another way Luke takes after his mother. He sings to himself, all the time. Today we watched him walk up and down the sidewalk, signing to himself contentedly for about 15 minutes. So Cute! 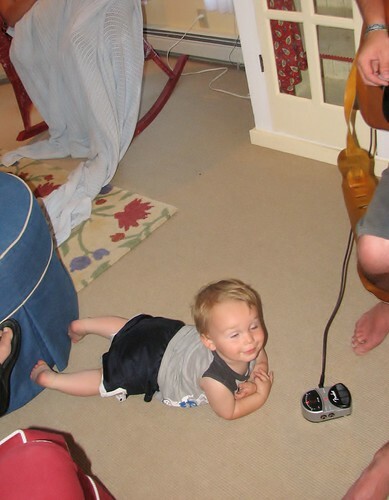 Here's our little star, singing along to Uncle Johnny's guitar strumming.